Description: Native to Indonesia and Sumatra. 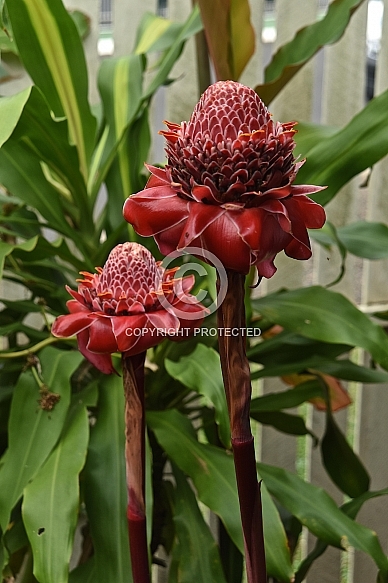 Also known as red ginger lily, wild ginger, torch lily, Phillipine Wax Flower, etc. Buds are used for culinary purposes. Flowers have cut flower uses. Flower colour variable from white through pink to deep red. A herbaceous perennial. Frost tender but can be grown in mild, subtropical climates. This example photographed at Kuranda, in the Daintree Rainforest, Northern Queensland.